You wouldn’t want any old couches or sofa’s dumped on the curb in Jackson. If you are looking for easy couch & sofa removal in Jackson we offer just that at an affordable rate. Other Jackson sofa haulers either charge too much or won’t take a single couch. But don’t worry Gig City, we do! 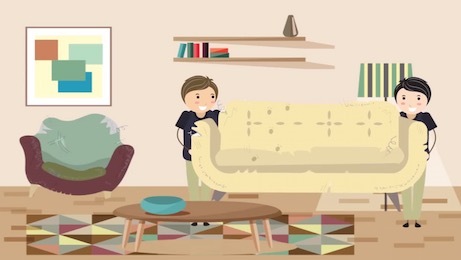 Book fast and friendly Jackson Couch Removal online with Couch Disposal Plus and leave the hard work to us! Choose Couch Disposal Plus – a company you can trust for fast, friendly and affordable Jackson Couch Removal. 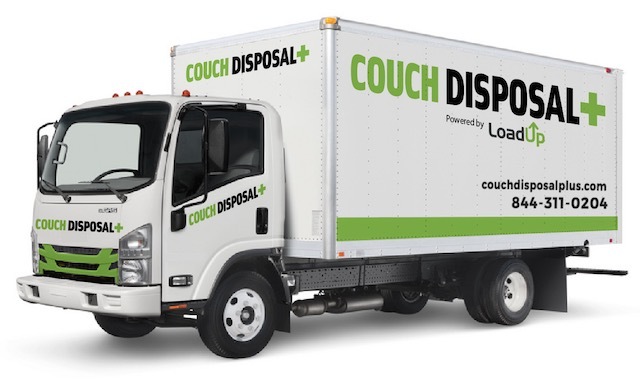 Couch Disposal Plus works hard to provide professional couch removal and sofa disposal at an affordable price. You can depend on our quality hauling services and enjoy convenient, easy-to-use, online booking. Book online or on the phone by 5pm the day before your preferred appointment date and schedule easy removal & disposal services. You will receive a courtesy phone call the morning of your scheduled pick-up date and confirm a 2 to 4 hour arrival service window. Our insured & uniformed removal team will arrive at your location within your pre-scheduled time window and does all the heavy lifting. Your old couch or used sofa will be taken to a local donation facility or recycling center where it will be stripped down into raw materials. Just Call 844-311-0204 or Book Online and you’re all set until we arrive for your appointment. Do you live in metro Jackson? Are you finding it difficult to dispose of an old couch, sofa or recliner in the city? Our Jackson couch disposal company specializes in recycling and disposing of used couches and other furniture. We take the hassle out of couch removal, so hire our professionals to help you with couch disposal in Jackson. Disposing of an old sofa or couch in Jackson, TN should be handled with care. Dumping furniture or large items like a couch can become an eyesore and most items will not be picked up by city garbage trucks. The impact of these actions can have a negative effect on the environment too. Recycling or donating is one of the easiest and impactful ways you can take to ensure to keep your neighborhood a desirable place to live. Once your Jackson couch disposal is booked, we will arrive at your location for our arranged date. We even call and text to confirm our exact arrival time. Once we arrive, we do all the heavy lifting. After we load your couch we handle the transportation, disposal, recycling or donation if salvageable. We won't take long so you can get back to your day with couch removal scratched of your to-do list. Couch Disposal Plus works hard to achieve the best possible result for your Couch disposal and recycling appointment. You can be assured of the quality services we provide and enjoy the convenience of our easy-to-use online booking system. All you need to do is Book Online today and we look forward to meeting you on our scheduled date! Call 844-311-0204 or Book Online for Jackson Couch Disposal today. We can help with all of your Jackson couch disposal and bulk furniture removal needs in a easy and convenient service that fair to the environment and your wallet. At Couch Disposal Plus, customer satisfaction is always our first and main goal. We provide honest, upfront and quality couch removal services at discount prices to all areas in Jackson including Windy City, Union, Oakfield, Gilmore and other nearby surrounding areas.